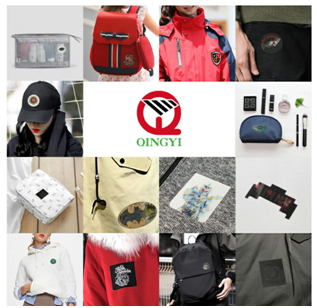 Qingyi always keep developing new products for customers. This month, we will release a pretty unique label, 3D hologram lable to you. When you observe it from different direction, you will get different images. There are 2 realistic images in one lable in fact. This new technology makes your t-shirt fashionable and special. Its creativity increase product’s value. It can be customized to meet customer’s requirements. 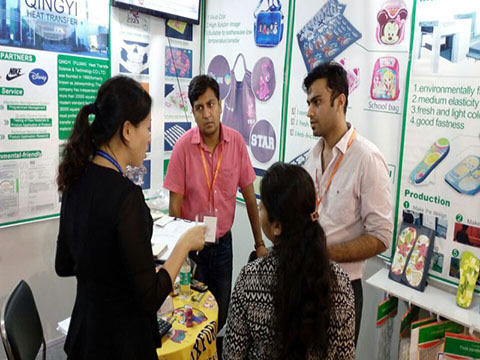 With the rapid development of market trend, people are eager to pursuade creative things. The 3D hologram has fancy visual effects. The changable function brings new feeling . It is washable more than 5 times at 40℃ for 45 mins/time. The eco-friendly material is safe for your health. Differ from the traditional sewing, it can be applied by heat press machine directly. Because the adhesive glue backing bring this convience. 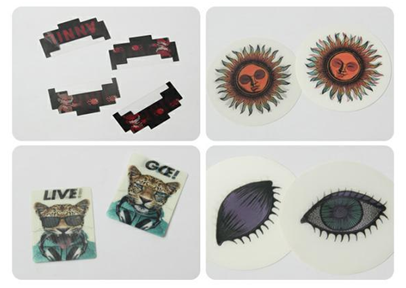 With the special effect, it is widely used in wallets, school bags, cosmetic bags, handbags, hats, hoodie, Jeans ect. Heat press at 130℃ for 15s. Willing to talk more details with you.